This time, the theme of the Forum was “International operations – the engine of companies’ development“. More than 120 entrepreneurs, academics and representatives from Poland, Sweden and Belarus took part in the event. The conference commenced the welcome speeches of the Vice-Rector of Westpomeranian University of Technology in Szczecin, prof. Dr hab. Eng. Jacek Przepiorski. Deputy Marshal of the Zachodniopomorskie Voivodship, Dr. Jarosław Rzepa, Deputy Mayor of the City of Szczecin, Michał Przepiera and the Head of the Board of the Green Chemistry Cluster, Jacek Drożdżal. The first panel of the conference, led by prof. Dr hab. Eng. Ryszard Kaleńczuk – Dean of the Faculty of Technology and Chemical Engineering, ZUT – was started by Deputy Mayor of the City of Szczecin, Michał Przeriera. He was talking about actions that will make Szczecin an attractive metropolitan city and a project of the city of Szczecin, thanks to which the assumptions of the circular economy are realized. Another speaker, Bengt Malmberg, Director of Sustainable Business HUB Malmö, talked about recycling and innovation in local governments on the example of Swedish experience. Then the chairman and vice president of the Polish Nationwide Cluster of Innovative Enterprises – Bogdan Węgrzynek and Angelika Jarosławska took over. They talked about Poland 3.0 project, which is a new direction of cooperation and cross-border exchange in the perspective of developing innovations for companies. 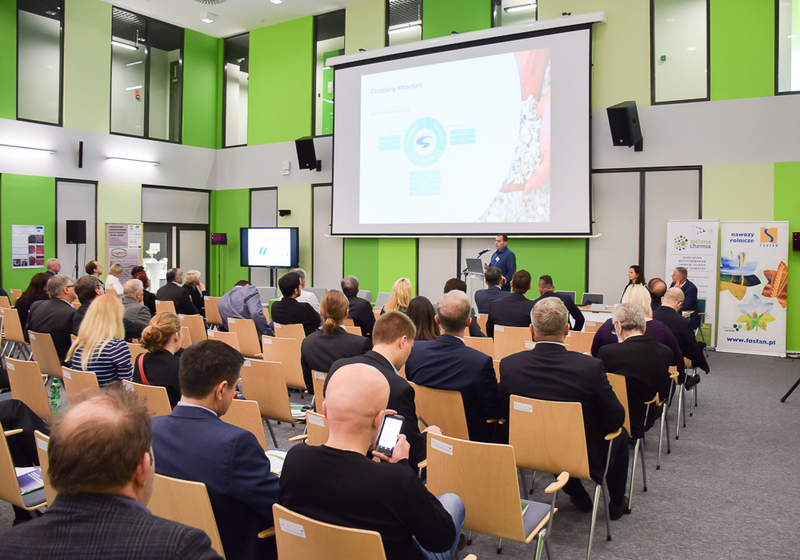 The first panel ended the presentation of Jerzy Komarnicki, Technical Director of Chemical Plant “Siarkopol” from Tarnobrzeg, who discussed new possibilities of obtaining materials from municipal waste based on the production of mineral-organic fertilizers. Second panel of the forum, whose was chaired by dr hab. Krzysztof Lubkowski from the Faculty of Technology and Chemical Engineering, ZUT, opened the speech by Piotr Selmaj, the president of the Warsaw company Strefa, who presented the possibilities of “optimizing heat” and saving on heating. He was convinced that an intelligent heat network was a good idea for companies, local government institutions, housing communities and heat providers. 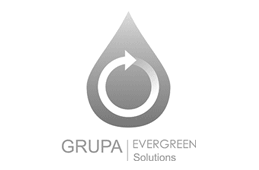 On the other hand, how not only to get rid of the problem of waste, but even to earn money, said Tomasz Chabelski, vice president of Evergreen Solutions, a company from Pyrzyce. He talked about their FuelCal technology for processing organic waste from the food industry and sewage sludge on mineral-organic fertilizer. Viktar Barsukou, Director of the Grodno House of Science and Technology, was encouraged to invest in Belarus. He was convinced that companies and organizations in Grodno were interested in working with Polish businessmen and scientists. The next speakers were scientists from ZUT – prof. dr. hab. Zenon Tartakowski from the Faculty of Technology and Chemical Engineering, ZUT, who talked about new trends and technologies used in innovative recycling and prof. Artur Bartkowiak, director of the Center for Bioimmobilization and Innovative Packaging Materials, talked about trends and perspectives on active and intelligent packaging. It was introduce to thematic workshops, which took place after the conference part and attracted great interest of the participants. Then Flukar representative, Grzegorz Nieradka, deputy coordinator of the Life Emu New Project, talked about the project, which main goal is to use waste polymeric resins to make asphalt emulsions. The services of the Regional Center for Innovation and Technology Transfer and the Enterprise Europe Network supporting internationalization were discussed by the head of the transfer and technology department RCiTT, Paweł Żebrowski. The conference part of the Forum closed the speech of the Head of the Board of the Chemical Cluster, Jacek Drożdżal, who brought closer to the audience the profile of Cluster activities and projects implemented within the framework of international activities, such as CORNET or Natureef. During this year’s edition of CHEMIKA EXPO, the competition for the best scientific poster was organized for the students from scientific circles ZUT pn. “Different faces of chemistry”. Laureates of the competition were representatives of SKN Agroengineering from the Department of Environment and Agriculture. In addition to the above-mentioned workshops for entrepreneurs, a very important part of the Forum was a cooperation exchange, which organized a record number of B2B meetings – 41. Participation in the cooperation exchange was attended by entrepreneurs from different parts of Poland, as well as from Sweden, Germany and Belarus. We would like to sincerely thank you for the numerous arrival for our event and for active participation in lectures, discussion panels, cooperative exchange and workshops. We hope that this year’s edition of CHEMIKA was inspiring for you. We would like to invite entrepreneurs, scientists and local governments to the Chemika Expo 2017. The event will be held 23 March 2017 at the Regional Centre for Innovation and Technology Transfer at Jagiellońska Street 21 in Szczecin. 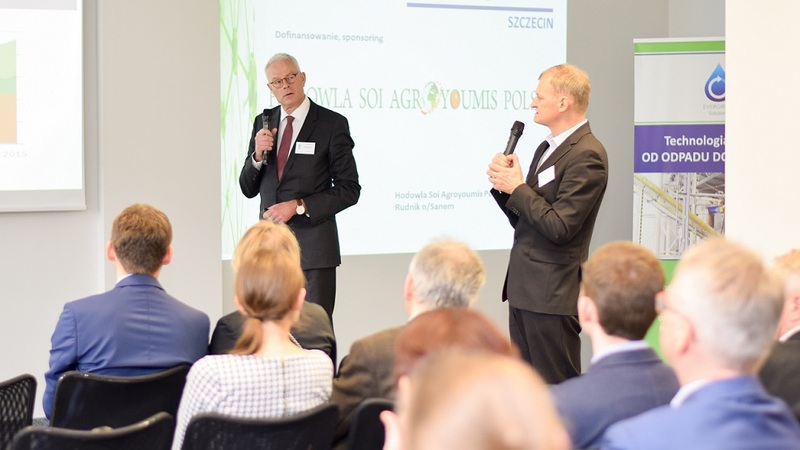 The 8th Economic Business and Science Forum CHEMIKA EXPO 2017 is one of the largest meetings of its kind, bringing together members of Euroregion Pomerania chemical industry, which has become recognized not only in Poland, but internationally. This is an excellent opportunity to meet entrepreneurs and experts in the chemical industry as well as local government representatives and business environment institutions. Throughout CHEMIKA EXPO you will get a chance to participate in lectures, panel discussions, international cooperation exchange and specialized workshops. CHEMIKA EXPO 2017 is an event organized by the Association West Pomeranian Chemical Cluster “GREEN CHEMISTRY” in partnership with Westpomeranian University of Technology in Szczecin, Center of Bioimmobilisation and Innovative Packaging Materials, Regional Centre for Innovation and Technology Transfer and foreign institutions such as Ukrainian Chemists Union in Kiev and Sustainable Business Hub from Sweden. REGISTRATION closes 20 March 2017.